On behalf of the officers and members of KPFVC we would like to congratulate Firefighter Sam Rapine and Firefighter Michael Massaad for successfully completing their National Firefighter 1 program at the Montgomery County Fire Academy. 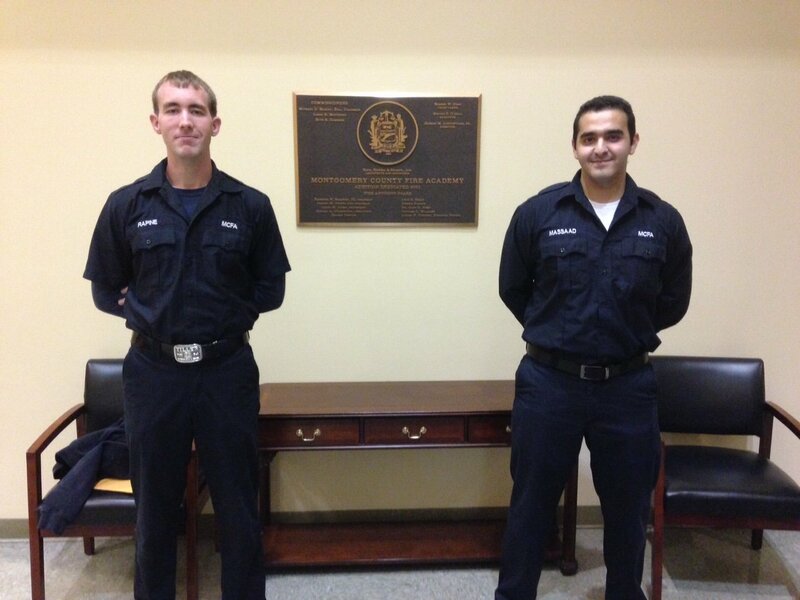 This past year both Firefighter’s Massaad and Rapine joined as probationary members almost one year ago and have been actively pursuing their training to become certified firefighters. They completed approximately 178 hours of training between weekday night classes and all day weekend classes at the academy. They were amongst a class of 22 who participated in this certification program from different fire companies within Montgomery County along with individuals from other companies outside of the county as well. We are proud to bring on two more certified firefighters in the membership and another two dedicated individuals to the active brigade. Congratulations MEN!